Diving in Scotland can be extremely rewarding. There are a number of interesting wreck dives and some great scenic dives. We dive all year round as there is often something interesting to see underwater. However, diving is more frequent in the Summer months and can include day trips, weekend outings and sometimes evening dives after work. 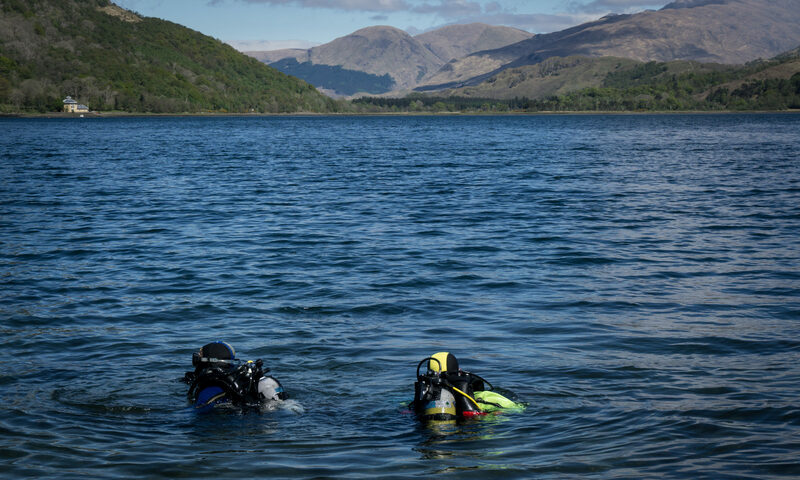 Day dives are often to Loch Long and Loch Fyne where there are some great sites for training and easy diving. Usually followed by a BBQ (in Summer) or a cosy pub lunch (also in Summer!). Sometimes we charter a boat to visit less accessible local sites. The club tries to organise a number of weekend trips further afield every year. Recently we have dived in the Summer Isles, Sound of Mull, St Abbs and Loch Carron. Trips are a great way to get to know the other members of the club. We also host a special Halloween Night Dive at the caves on Loch Long every year. Its great fun if you enjoy getting spooked by a seal!